If you have any young women in your life, I’m fairly confident of this gift’s ability to make them squeal with delight. 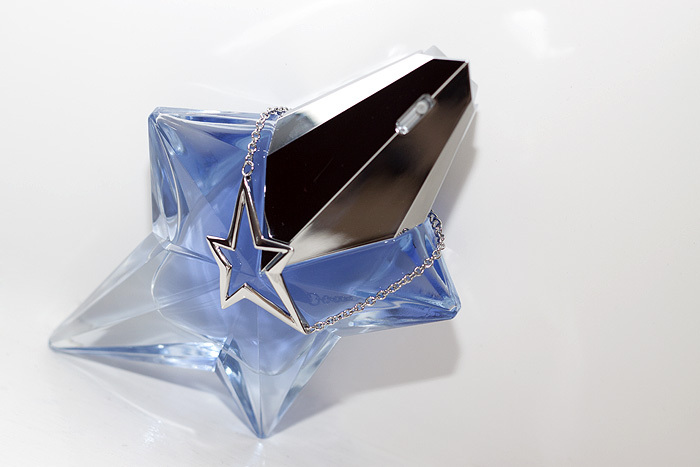 A special Christmas Limited Edition Thierry Mugler Angel perfume with the iconic star-shaped bottle transformed into a bracelet. Look at me modelling it like I should be on QVC! You should probably know that my wrists just fit the bracelet… so this is definitely aimed toward either a younger, or less food-loving market… and pretty as it undoubtedly is, I’m not ready to give up my tin of Quality Streets for it just yet. Maybe I could use it as a benchmark — I should try it on daily, and when it doesn’t fit anymore, I know it’s time to hand back the tin. As for the scent… Angel is renowned for its notorious love/hate divide and I’m split right down the middle because I completely pinch-my-nose hate the chocolate-y, gourmand opening but adore the drydown and resulting warm sexiness that lingers for a very long time indeed. 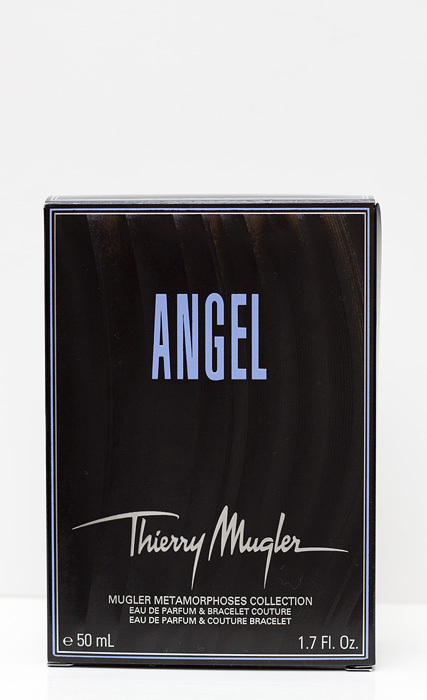 The Christmas Limited Edition Thierry Mugler Angel with Bracelet is available to buy nationwide, priced at £51.50 for 25ml (EdP) or £66.50 for 50ml (EdP). Are you an Angel fan? 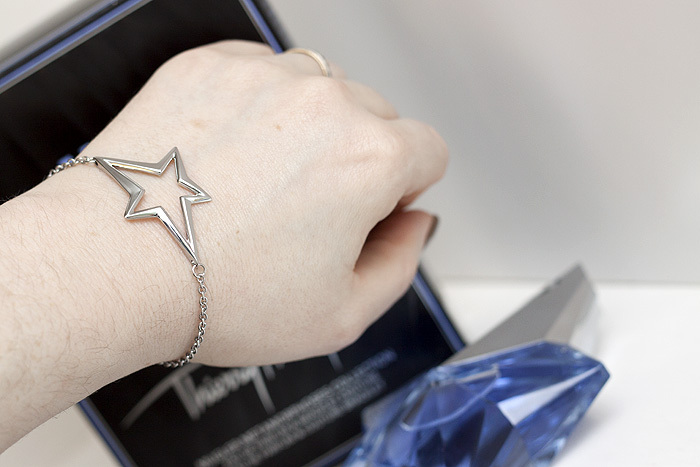 I HATE this perfume, but LOVE that bracelet, but having wrists bigger than yours means thats a no for me! this is my favourite perfume. I always get people commenting on it when I wear it.The bracelet however looks cheap and nasty and way too gimmicky for a company like this to be promoting- yuck!